I think I might have an eating disorder. How do I know if I need help? I’ve lost a lot of weight but now I’ve hit a plateau. How can I get to my goal weight? What’s the difference between a portion size and a serving size? 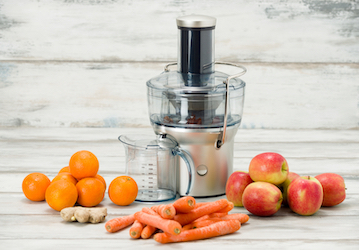 Are there any benefits to juicing my food? What other programs are available if I can’t afford groceries? What if I need help affording groceries during my pregnancy? What is the Family Subsistence Supplemental Allowance (FSSA) program? Am I eligible? How much should I eat during my pregnancy? What and when should I eat after a workout?